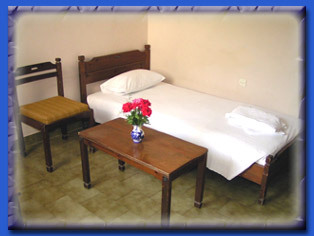 imeon has "A" Class, very modern and beautiful self - catering apartments for 3 - 4 persons. 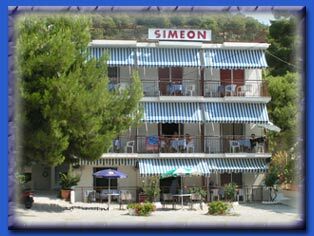 Simeon apartments are situated in beautiful Neorion bay of Poros which is a quiet area 2,5 Km from Poros town, but all facilities are in very easy reach. We are a perfect choice for families with children. 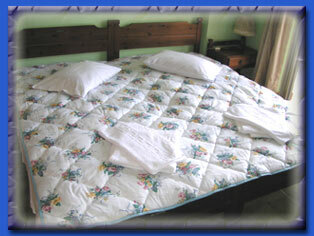 We are a family run business, very friendly and cater for every need. 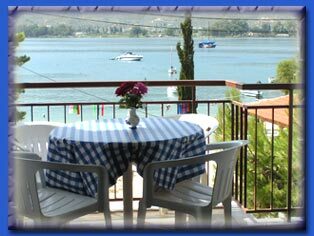 All apartments are fully equipped and have views to sea and the sandy beach of Neorion, which is opposite our apartments. 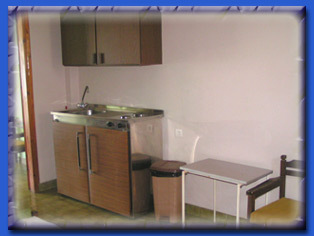 ll apartments consist of separate bedroom, hallway in which the kitchenette is situated and a separate lounge containing sofa, chairs and coffee table. The bathroom contains shower and WC. Each apartment has its own large veranda with dining table and chairs and sun canopy. ach apartment here at Simeon also has air - conditioning, Satellite TV, telephone, safety deposit, laundry service, parking and baby - sitting if required. 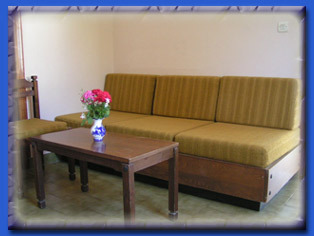 imeon has every comfort to make your holiday complete. Very soon we will be opening our snack bar for the beach and the apartments will have room service. 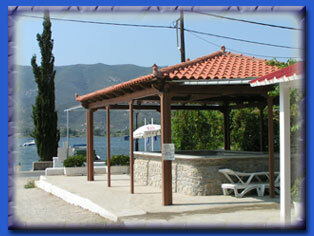 here are many tavernas near by and also a supermarket, swimming pool and a very good ski - school. nly five minutes it is from the town which is easily accessed by a taxi, water taxi and bus which runs every 30 minutes from outside Simeon apartments. Simeon is a family run business. We make our business your pleasure. 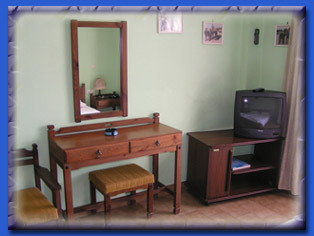 There are available rooms for persons with special needs. and then you continue to Poros Island.